I’ve made homemade deodorant before and have been using it for the better part of a year now. I’ve changed my recipe a bit and added a couple new ingredients that I feel work out better than the original. And while on Pinterest the other day I found a recipe for a probiotic version. Uh huh. Had to try it. Plus I was out and needed to make more for this post, and her recipe is almost exactly like the one I’ve come up with. 1. Bodies are supposed to sweat. Our armpits have glands in them that release sweat and toxins, those toxins we don’t want in our bodies. When we use antiperspirants, we turn off this natural bodily function causing the toxins to stay and circulate again trying to find a way out. 2. The ingredients in conventional products are enough the make you squirm. And with our skin being our largest organ, we do in fact absorb some of the chemicals we put on them. There is, of course, a whole bunch of science behind the “dangers” of conventional deodorant that we won’t get in to. The gist is that our bodies work better when we allow them to do what they’re supposed to do in the most natural ways possible. 1. 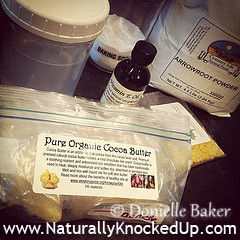 Melt the cocoa butter, coconut oil, and beeswax over medium-low heat. I began using beeswax in my deodorant when I realized how my hard lotion bars from MadeOn lotion didn’t melt in the summer, and they have beeswax in them. Because last summer my deodorant bar completely melted on our first warm day. Adding beeswax has kept that from happening. 2. Once melted, turn off the heat and add arrowroot powder and baking soda. Whisk the ingredients gently until all are well combined. If you don’t have arrowroot powder you can also use cornstarch. And many recipes include more baking soda, but I find that any more than 1/2 Tbsp makes my skin irritated. So you’ll have to play around with the amount a bit to see what you find works best for you, but 1/2 Tbsp is a good place to start. 3. Stir in the vitamin E oil and the essential oils. I prefer very little essential oils, using just 5-8 drops. This leaves it only lightly scented. So start small and add more as you need it. If you don’t have any essential oils, you can leave them out. 4. Let the mixture cool until it’s thick but spreadable. You can add the optional probiotic now and stir the mixture well. Sometimes the odor we find under our arms is because of bacteria. So theoretically, we can overpower this bacteria with good bacteria, leading to less smell. (source) It must be shelf stable though, otherwise adding refrigerated probiotics will require you to keep the deodorant chilled. I guess that would work if you need and extra strong wake-up in the morning. 5. Spoon the mixture into an old deodorant container or large mouthed jar for storing. Use a small amount under each arm when needed. Just in case you’ve never made the switch to a natural or homemade deodorant, yes, you may smell at first. Now that really makes you wanna try it huh? The problem is, all that backed up junk is just waiting to come out, and it’s going to when you stop using your antiperspirants.You’ll probably even sweat more as your body works to figure how to properly…….work again. This should lessen within two to three weeks. Another factor in your body odor is what you eat. The more junk that goes in, the more junk comes out. One last factor in body odor is your liver, which is one of the first lines of defense in clearing toxins from your body. If it’s working well you won’t need to sweat out as many toxins. 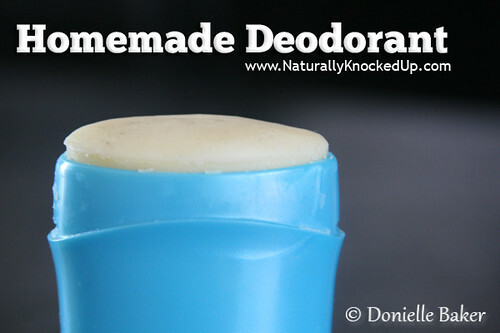 Do you use a homemade or natural deodorant? Tell us your experience! This sounds fantastic! I will be making this just as soon as I’ve collected all the ingredients. Thanks so much for sharing~! Thanks for sharing this recipe. I need to make a new batch too and would live to try this. Can you recommend a shelf stable probiotic? @Emily @ Live Renewed, BioKult was the brand the original poster used. I just used my stuff from the fridge, knowing that it wouldn’t necessarily last all that long. But even if the probiotics aren’t active, it doesn’t wreck the deodorant so I wasn’t worried about being wasteful. 🙂 I’d love to try it long term to see what difference it makes but it’ll have to wait until I need to buy more. I think any probiotic you find on the shelf, with at least a couple strains of bacteria, should work well. This is great! I’ve made my own deodorant before but like you said it melted and was difficult to apply. I’d never thought of using beeswax. Luckily I ordered some in not too long ago. WIll be making some more deo soon! @Sara, The beeswax definitely helps! It takes an extra second to soften when you apply it, but otherwise works the same. @PK, The science of it? I dunno. I mentioned it as a theory, because that’s what I think it is. The blog post I linked to, where I found the recipe, mentions a few more specifics. I wonder as well about how long the probiotics can survive – especially based on which type of EO you use. But in the long run, for me anyways, it won’t hurt the deodorant at all, and it only cost me 2 capsules of probiotics. I used to use a recipe that I’ve posted before pretty similar to Lindsay’s, actually the same thing I think. But it melts on me in the summer, so the addition of beeswax has been keeping it shelf stable. Vitamin E oil is often used as a “preservative”. It helps to keep the ingredients fresh and it’s also beneficial for skin repair and healing. Vitamin E is NOT a preservative, it is an antioxidant. It will help prevent oils from becoming rancid. It will not kill bacteria or fungi. As long as you don’t use any ingredients with moisture or water, an antioxidant is sufficient. @SofyaDeb, Yes – that’s why I used the quotes. 🙂 It’s not a true preservative, but the anti-oxidant nature of it can help to “preserve” the oils. I have not had good luck with more natural deodorants so far. I gave them a couple of months to work themselves out and I was still wet, stinky, & soaking my shirts after weeks & weeks of trying. At work, that just wasn’t going to fly. Add the fact that nearly every EO, especially any thing tea tree, kills my allergies. I keep hoping one will work, but so far not so much. I am sorry to hear that nothing has worked for you but, i know two things you can do to help combat the odor. Now, it won’t stop you from sweating but they will kill the odor. I use baking soda mixed with water and apply under my arms after I shower and once that dries or after an hour I apply lemon juice either from the packets or the actual lemon. I promise you you won’t smell even if you sweat. Good luck to you. Couldn’t you just add more baking soda into your deoderant? I like the idea of non melting factor, but I mix 2 1/2 tbsp coconut oil, 1/8 cup baking soda or more, and 1/8 cup arrowroot/cornstarch to make it condensed with soda. Its the only thing that works for me so far. I just keep it in an old deoderant container in the fridge and take it out before I shower. By that time its soft enough to work the mechanism on the container to apply. ??? Its a lot of baking soda, but you just flap your arms :), leave it alone and it does not bother me at all. If I were to add a little beeswax, will that take care of the melting factor? @Keala, A lot of people, and I’m one of them, can’t stand that much baking powder. It makes me itch horribly and causes a rash under my arms! And yes, if you were to add a bit of beeswax it’ll take care of the melting factor. 🙂 Well, if you live in the southern states and it gets super hot it may still get soft, but it won’t liquify like just coconut oil does. I heard if u put vinegar in ur laundry it will take the smell out. Use it like u wld bleach. I know the feeling! I am a Mediterranean woman and we are no joke when we sweat. When I used to used antiperspirant I had to use the stuff made for men! It was the only stuff that worked for me. I did use baking soda and water solution and although it worked for a couple of weeks for the smell it burned my skin under my arms and it turned dark and thick like shoe soles. I had to stop and it took a couple of months to heal. I could deal with the slight b.o. in the winter as I didn’t sweat much, but now in the summer I have to wash my underarms two to three times a day and apply a scented hand cream to keep the smell down. I don’t know what to do, so I’m very interested in your attempt. I’ve been using a natural deodorant for at least the last 7 years, but started making my own this past January. It never occurred to me to use probiotics-what a great idea. I keep mine stored in a small mason jar and I haven’t had any issues with it melting yet. Since the lid seals tight I don’t expect it to be an issue during the summer either, but I’ll keep the beeswax idea in case it does. I’ve been on a quest for a great homemade toothpaste, tried several, but haven’t really found something I like yet. Two weeks ago I would have said homemade deodorant would be a no go for me. I’m a super heavy, stinky sweater (no matter how clean I eat) and I live in Phoenix and spend hours each day in my car. I’ve tried every type of commercial deodorant possible, up to and including the clinical strength stuff. However, a friend of mine convinced me to try the classic homemade deodorant recipe (1T each baking soda, cornstarch, and coconut oil). Her reasoning was that if it didn’t work it was a waste of only 3T of ingredients that I already had on hand and about 5 minutes of time to mix it all up. Imagine my shock, when on the first day I still sweated, but it didn’t stink! So far I’ve worn it for about a week. The only stink I get is from the smell being embedded in my shirts (still looking for a detergent that will take the smell out). Since I was also sweating and stinking through commercial deodorants, I think I’m a convert, at least for now. Oh, and I leave it on the bathroom counter and so far I’ve had no issues with it melting. I’ve thought of adding a drop or two of TTO or peppermint oil to the mix, but haven’t done it yet. I’m also hoping that with time I will start sweating LESS. @Stacy, Yay!! Glad it’s working!! Also – maybe look into Rockin’ Green detergent to get out “funk”. I’ve used it on smelly clothes (and diapers) and after a good soak, it takes it right out! They also sell sample sizes so that you don’t have to buy a whole bag. Hey, Stacy. Same for me, in Florida. I don’t sweat a lot, but no matter what deo I tried, the SMELL was there. Esp with synthetic fabrics. Maybe it’s the humidity here that creates such a happy environment for the bacteria! Anyway, the recipe that you tried works GREAT for me. First success EVER! I use 2 T. of the coconut oil instead of 1 and add a few drops of tea tree oil for its antibacterial properties. The scent of the mix is heavenly and even my husband uses it now, since I poured it into an old deodorant stick dispenser and let it harden in the fridge. (I may add beeswax next time so we can travel with the stick without it melting!) FYI, that small quantity is the perfect amount to fill a standard dispenser. You can just take out the old garbage deo and clean it out WELL. Labels usually come off easily, too. As for the smell in clothes… how ’bout soaking them in a baking soda solution? I use baking soda scented with essential oils to clean/deodorize in my house… would probably take the stink out of the fabric as well. Or a few drops of Dr. Bronner’s SalSuds with its pine oil might do the trick. I actually HAVE tried baking soda, TTO, Dr Bronner’s soaks to get the smell out of my clothes. I haven’t had any luck with it but I may give it another shot. I think I’m going to add a drop or two of TTO to my mixture. I just keep it in one of those tiny plastic containers with a tight-fitting lid, then apply it with my fingertip. Think of the containers that are meant to hold salad dressing. Even if it melted I don’t think the container would leak. Stacy, I wouldn’t put TTO on your clothes or in your laundry. I’ve read that it destroys fabric. A scented baking soda has like 10 drops in a 2 lb box… and then is diluted in water… wouldn’t be enough to harm. But EOs of any kind ON your clothes would be very harmful. Good luck!! @Stacy, try spraying the armpits of shirts with whie vinegar before washing. I second Stacy’s recipe above working. I have spent lots of $$ trying natural deoderants. Nothing worked well enough to please me. This stuff works SO WELL. I saw a $20. stick (about 3 oz) at a health food store last wk. It added kelp and coriander and something else and was a night deoderant that was supposed to help your body excrete heavy metals. Hmm…. it got me thinking. Wondering if it actually works or is hokus-pokus. Anyhow, I could make it for A LOT less! THE ABSOLUTE BEST NATURAL DEODORANT IS OZONATED GEL..will work for up to three days…the oxygen kills the bacteria….it really is fantastic. Can I replace arrowroot powder with betonite clay? @Kay, Hmmm…. I’ve never done it, but I don’t see why not. If you try it, make sure to let me know how it works! I really like this recipe. It works very well! The first few times I used it I saw some yellow marks on my shirt and was concerned about it. However, it came right out in the wash with a little spray on stain treatment. Then I tried it without any treatment and the marks still came out. However, now the yellow marks are not coming out. I guess I’ll have to try scrubbing them out. I even apply the deodorant at night and skip the morning so it’s less likely to leave much on my clothing. Perhaps I put too much beeswax in my recipe? Perhaps I’m applying too much? Have you had this problem at all? @Dori, I might think that you’re using a bit to much. Maybe it’s the oil coming off and getting on your clothes? You definitely don’t need near as much as conventional deodorant. 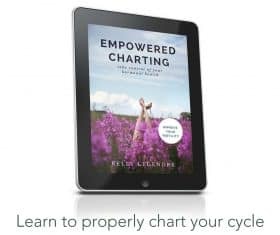 I think this is a great site and was excited to see that many people have had success. Keep sharing with us great natural ways of doing things, Donielle. I used the coconut oil/baking soda/ cornstarch deodorant for two weeks. It was so great, I didn’t stink, or even feel sweaty. However, after a few days I began getting fever blisters on my face. This is a recurring problem for me and I avoid most things containing nuts. I didn’t even think about it at first, but then realized that I had doubled my lysine and was taking vatrex daily to control the breakouts, but it didn’t work. I quit, sadly, using the homemade deodorant and it has started to clear up. Is there one that does not use coconut oil? @Tara, Could you do cocoa butter at all? Replacing the coconut oil with it is possible. Otherwise you could just use a arrowroot powder/baking soda mix under your arm like powder. @Tara, you may have discovered this already, but coconut is not an actual nut. Do you think shea bitter would work instead of cocoa butter? That’s the only thing I don’t have on hand. @Brooke, I would think shea butter would work just fine, it’ll just be softer than if you use cocoa butter. If you live where it’s very warm, just watch to make sure the beeswax keeps it firm enough so that it doesn’t melt on you! Thanks for discussing the irritation. My underarms are on fire from my other recipe I tried very red and irritated and until I saw you mention irritation and how to back off the key ingredient to reduce irritation I almost went back to the nasty store bought stuff! I am so glad I checked our site again after trying this for a day. When you said you still might be stinky until all the nasty stuff comes out of your system. I think that statement has helped me not to give p so soon. But here’s the thing; I’ve been a vegetarian for two years and I eat pretty well and only on occasion do I even consume dairy. So, is it possible something as simple as increasing my water could help the stinky too? I did modify the recipe slightly because I don’t have arrowroot powder but I did have cornstarch. And I was afraid to use a half tablespoon of baking soda because it irritates me so…so I used a fourth of a teaspoon and t still stings a little when I perspire. I added several small amounts of EO and a good 10 drops of TTO hoping to replace the effects of baking soda on me. Works on contact for a good while…but I am wondering what else can I do to help me get through the adjustment period. @Phyllis, Well, just because you’re a vegetarian doesn’t necessarily mean that your body is cleaner than those of us who eat meat. 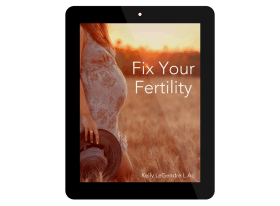 (which I know is a common theory) Toxins in our bodies can be from excess environmental pollutants (from pesticides, air quality, products in our home, etc) as well as from old hormones that our body has already used or has no need for. Even our cells have to get rid of waste products from used nutrients through our lymph system. Focusing on supporting the liver will help as will some extra water (I recommend lemon water or drink it with a splash of apple cider vinegar). I used all kinds of deoderants and they worked for about a week. Then they’d start reacting with my body chemistry and I’d reek. I was desperate until I read about Milk of Magnesia as a deoderent I’ve been using it for about a year and it’s FANTASTIC. It works and it’s CHEAP and it doesn’t stain my clothes. Only downside is it’s a little messy to put on. @Ita, Great tip – thanks! This is great. I’ve been obsessively looking up deodorant recipes (and other homemade stuff) and this is the first I’ve come across with beeswax. Also have you experience Brown armpits, which some people get from the baking soda? @Tammy, As long as I don’t use a lot of baking soda, I don’t have a problem. When I first made it, I turned red, but also had over three times as much baking soda in it. It can also be omitted for people who are really sensitive. I’ve been using a similar recipe that contains probiotics, bentonite clay etc. I have had issues with terrible oil stains. My & my husbands clothes are looking pretty gnarley these days. Not to mention the first several weeks we were smelling uniquely good. Five weeks in & well, we are smelling rather ripe. By mid-day we can’t even stand ourselves. Haha! I love the idea of this natural remedy but if I can’t find a fix to these problems, I feel I am forced into going back to commercial products. Any suggestions? Lavilin is really the greatest natural brand out there!! Love it and highly recommend it!! I haven’t heard of that one – thanks for the tip! Cool – definitely try it! !